What is MS Society email? Who needs to use MS Society email? MS Society email is one of our six online tools designed to support your group to meet our requirements. It gives your group access to a range of functions that enable you to communicate on our behalf, whilst ensuring that we comply with current data protection legislation. We’re currently upgrading MS Society email to give your group and specific individual volunteers more ways to communicate with others, and within your team, whilst ensuring that we comply with current data protection legislation. See below for how to submit your upgrade request. All MS Society groups have a shared MS Society email address that we want you to promote widely within your local MS community. And when you have upgraded your account, volunteers with access to your group MS Society email will also have an individual MS Society email address. You can view both inboxes and send emails from both addresses, all in one place. We want you to use MS Society email whenever you need to handle personal data. We also want you to use it when you communicate with an external organisation or person by email on our behalf. This could include local supporters, press and PR contacts, or grant making trusts. Your Coordinating Team should nominate two volunteers who can delete emails from your group inbox when they are no longer needed. MS Society email includes a secure storage space where you can keep documents like team meeting notes, service level agreements and risk management paperwork. All volunteers on your team with access to MS Society email can view and edit shared files. MS Society email also includes a group calendar that enables you to schedule team meetings and keep track of when your services, activities and events are due to take place. You can add agendas to meetings and set reminders so no-one forgets what’s coming up. MS Society email is hosted by Microsoft, which means your MS Society email account gives you online access to applications like Word, Excel and PowerPoint. This enables you to download contact email addresses from the Portal as an Excel spreadsheet. Simply copy and paste the list into the ‘Bcc’ field of your email and send it. If you are a Coordinating Team member who doesn’t meet either of these criteria, you may still request an MS Society email address. If your group offers MS Support, you also have an MS Support email address. Only trained Lead/Support Volunteers can access and respond to enquiries sent to your MS Support email address. We’ve put together a set of resources to support your group to use our new, upgraded MS Society email. We recommend that you read this guide before submitting your upgrade request. MS Society email is a secure system for receiving and storing people’s personal information that helps us to protect their rights under the General Data Protection Regulation (GDPR). Under the GDPR, there are specific rules for dealing with emails. You must follow these rules whenever you send, receive and store email communications on our behalf. You will have access to view your old email account for a further six months, but you will not be able to send or receive emails from it. If you are a new volunteer, or you take on a new role or tasks with a group that has already upgraded their MS Society email, follow this process to set up your MS Society email account. We expect volunteers who perform certain tasks or hold specific roles to use an MS Society email address. Learn about Who needs to use MS Society email? Contact your Group Coordinator or Local Networks Officer to request your MS Society email address. Make sure to include a personal email address we can use to contact you throughout the process. 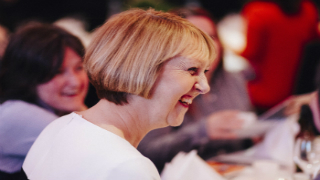 Your Group Coordinator or Local Networks Officer will email our Volunteering Team at volunteering@mssociety.org.uk to submit your request and confirm which shared inboxes you should be given access to. You must complete Data Protection for GDPR eLearning before we activate your MS Society email account. We will send a link to your personal email address. Your MS Society email address is now ready to use. Our Supporter Care Team is your key source of support when using MS Society email. Contact us if you can’t find the answer to your question in our MS Society email resources. A ‘data breach’ is any situation where personal data is made insecure. You must speak to our Data Governance Team to report any potential data breach immediately. We are required to inform the Information Commissioner’s Office of a breach within 72 hours of any volunteer or member of staff becoming aware of it. As soon as you become aware that your device is missing, contact IT Lab, our IT support service, to inform them. They will initiate a partial wipe to remove all MS Society data and reset your MS Society email password with you.